Will the EPA eventually regulate the air quality and dust in business offices? Did you know that some businesses in Scandinavia have separate, contained rooms for their paper shredders? This is because of the very real threat posed by the tiny dust particles that are created during the operation of a traditional paper shredder. You can’t always see the dust, but scientists have proven that it’s there, and they have been studying the effects that it has on the health of workers in an office environment. Printers, copier machines, and paper shredders all contribute to the air you breathe in the office, and the contributions they are making are not healthy. Obviously, the more of these machines you have, the worse it gets. Micro dust is being added to your work environment every day and the smaller these particles are, the more harmful they can be. For the home user who shreds infrequently, this is not a serious concern, but for businesses that shred more frequently, and for sustained periods of time, this is very much a concern. These micro dust particles can be hazardous to your health, and have been known to contribute to various respiratory conditions such as asthma, bronchitis, and sore throats. Allergic reactions, migraines, and conjunctivitis are also associated with paper dust pollution, so isn’t it time your office started to take this seriously? The new Dahle CleanTEC paper shredder range is designed to help you do just that. They have an innovative air filtration system that is built-in to the shredder. It is mounted right next to the cutting cylinders so that it can collect the dust directly from the source before channeling it through a closed system until it reaches a filter. The 3-ply air and dust filter is mounted on the rear of the paper shredder and can collect up to 98% of these fine paper particles. It binds them together so that they don’t contaminate your environment and can last up to six months or more before it needs replaced. 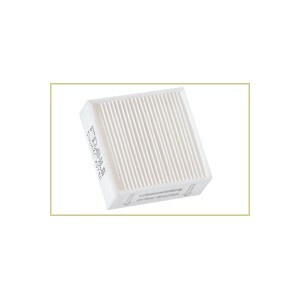 The filter is also environmentally friendly because the non-woven material that it is made of is fully recyclable. Other pioneering features on these shredders include enhanced safety controls, automatic oilers, an energy-efficient power management system, and a sensor that prevents you from overloading the cutters. So, if you are interested in improving the air quality in your offices, Dahle’s CleanTec shredders are a great way to get started. They’re clean, efficient and a responsible way to show you care about the health of your workforce. 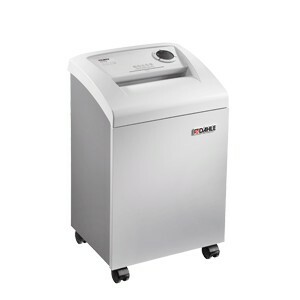 Dust filters in Dahle Paper Shredders improve health by reducing fine dust particles in the air. line of paper shredders, ensuring that offices are safer to work in and improve the air quality. The new CleanTEC and SafeTEC paper shredders improve safety and the filtration system has been shown to reduce the fine dust produced from document shredding. Better health protection: New filter system reduces fine dust for improved air quality in the office. Better supervision: Shredded paper volume is always measured for an uninterrupted workflow and improved efficiency. Better safety: Automatic switch-off function responds to calls for help, and in case of emergency will immediately stop the paper shredder motor. Greater convenience: Regulating cutter lubrication is made easy with an automated integrated oil reservoir – improves the life cycle of the paper shredder and gives you GREATER ROI! Greater environmental concern: CDs/DVDs and credit cards are separated automatically into separate waste containers. What is fine dust and how does it affect health? Many people do not realize that there is microscopic dust all around us. It’s a natural part of our world, unseen to the eye. Further to this, each and every sheet of paper that goes through the paper shredder also produces particles of fine dust that are invisible to the eye, unfortunately these dust particles can pose a health risk over time. Typically these unseen dust particles are carried through the air and into the respiratory tract. For some people this can cause and allergic reactions or other illnesses. For ultra fine dust particles, it is easy for them to find their way into the lungs, and while there the potential for being absorbed into the bloodstream futher increases the risk to health. 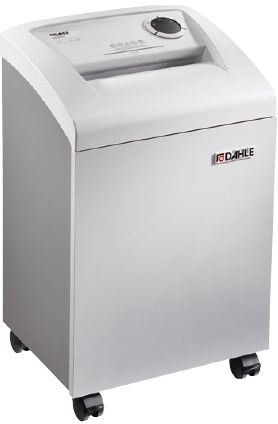 The new CleanTEC document shredders come standard with Dahle’s innovative filtration system, providing the first solution to reduce fine dust from shredded paper and improving health in the office.